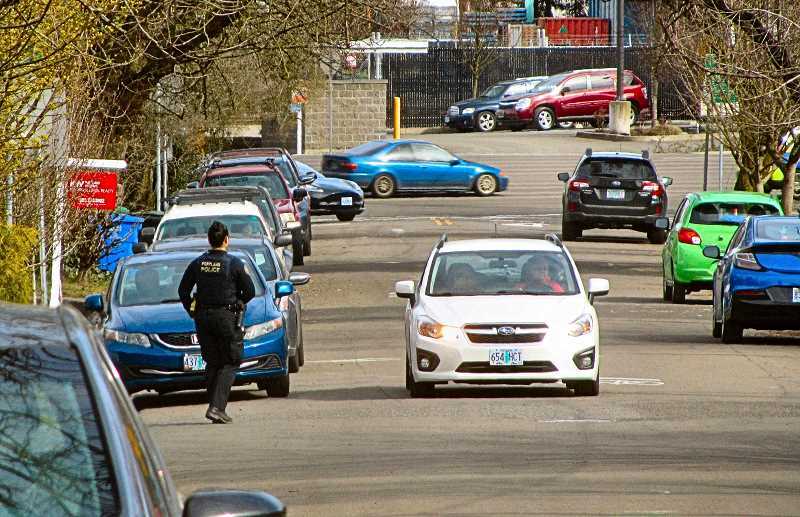 When the driver of a reported-stolen car failed to yield the right of way, on Saturday afternoon, March 16, Portland Police Bureau (PPB) Central Precinct officers went on the hunt for the vehicle. When officers spotted the car near 2100 S.E. Nehalem Street, a block west of the south end of Westmoreland Park, its two occupants took off running eastward, past Sckavone Stadium and across S.E. 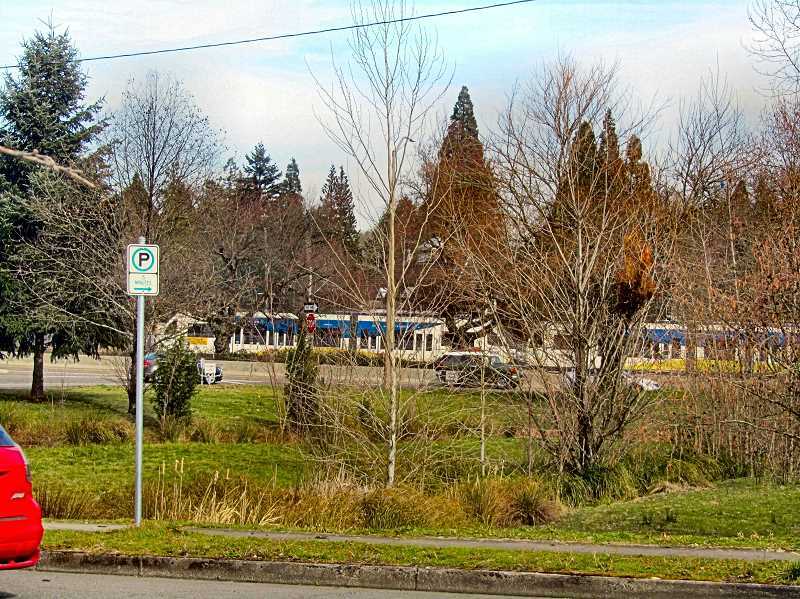 McLoughlin Boulevard – and either continued east into the Eastmoreland Golf Course, or north in the brush along the east side of S.E. McLoughlin. 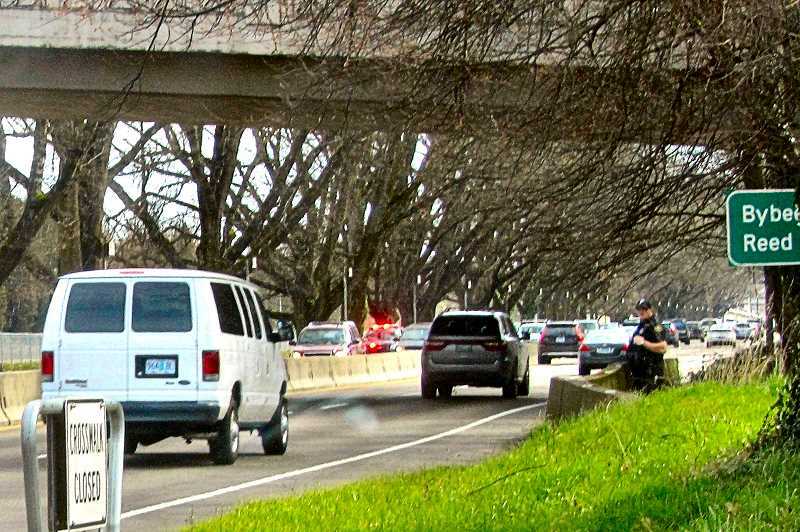 Soon the Bybee Bridge overpass was closed by officers looking for the suspects in the area; Tri-Met cooperated by stopping the MAX Orange Line service temporarily, until officers cleared the Bybee Station. "After the two men ran from the car, a PPB K-9 Team tracked them to near S.E. McLoughlin Boulevard and Reedway," said PPB Public Information Officer Sgt. Kevin Allen. Officers were stationed in that area as part of the neighborhood-long perimeter. "Due to the large area around the golf course, a large number of officers were called in to the area," Allen told THE BEE. "Although officers were not immediately able to locate the suspects, some stayed in the area to continue investigating, and officers will be alerted for future patrols." Anyone with information to contribute should call "Police Non-Emergency" and report it, at 503/823-3333.